Petite famille de renne 1. 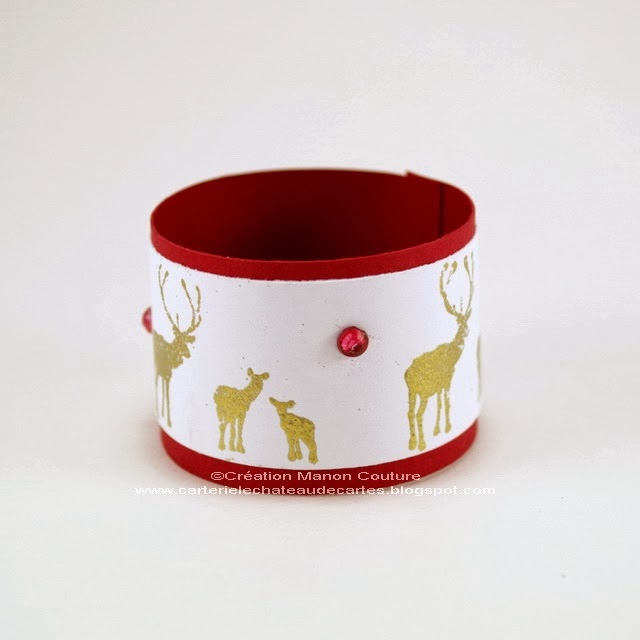 I'm presenting you today a very simple table set for your Holiday table featuring one of my favorite Magenta stamp... Little reindeer family 1.
et une bague pour verre à vin. The set includes a place holder, a towel ring and a tag for wine glasses. avec de la poudre à embosser or de Ranger. 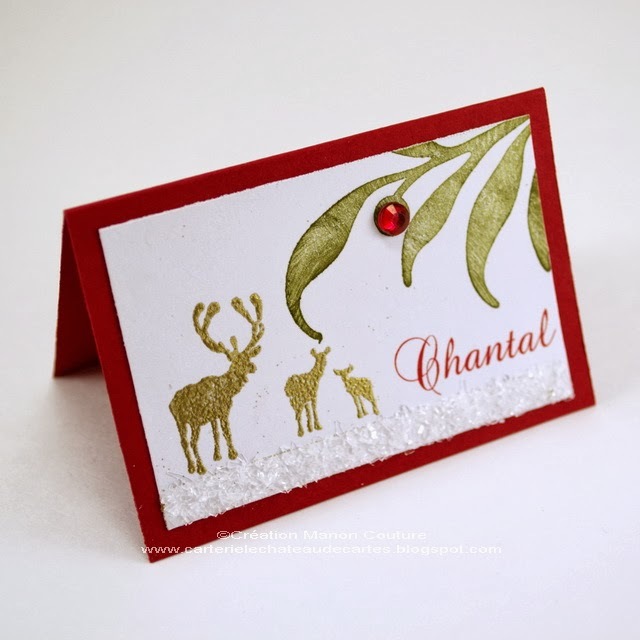 The stamp Little reindeer family 1 was embossed with Ranger embossing powder. à répétition sur une bande de carton blanc. The Stamp Little reindeer family 1 was simply stamped repeatedly on a white cardstock. a été étampée en partie sur un cercle de carton blanc. permettra de différencier les verres. 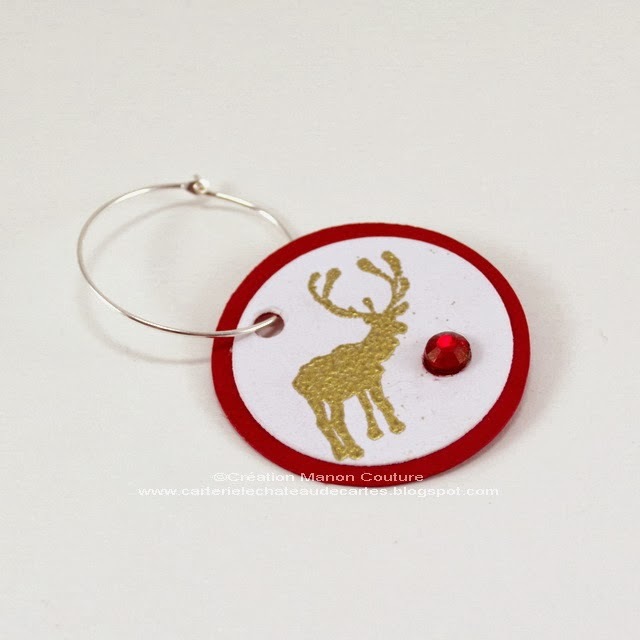 To complete the set, the stamp Little reindeer family 1 was partly stamped on a small white cardstock circle. A Pearl of different color was added to the rings that will allow your guests to identify their drinks. Je vous souhaite à tous un très joyeux temps des Fêtes!!! I wish everyone a very happy holiday seasons!!! 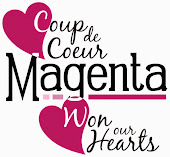 c'est magnifique! j'adore toute tes créations! Beautifully done, perfect for the holiday!